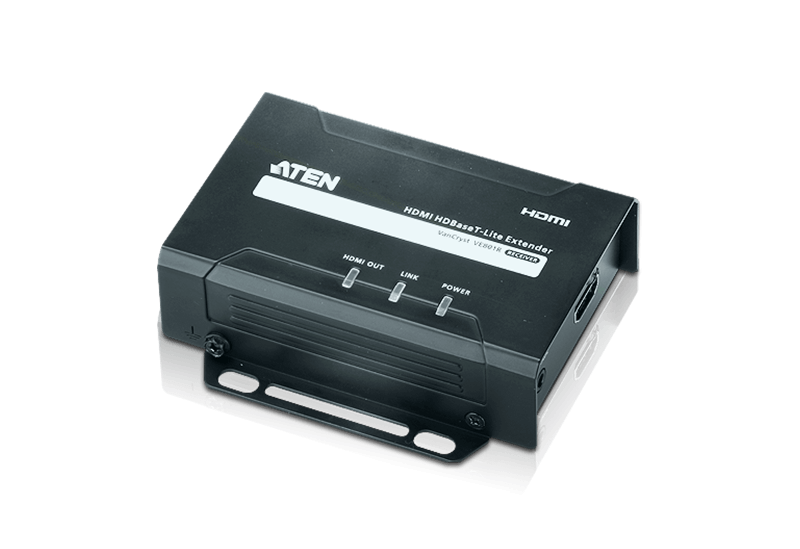 ATEN provides a range of long-distance distribution technology of uncompressed HD multimedia content for signal distribution - utilising a range of HDBaseT matrix switches and extenders. 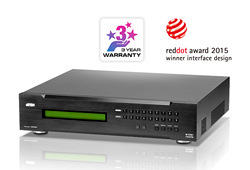 The HDBaseT technology is optimised for professional A/V installations and provides a simple and cost-effective solution that combines uncompressed ultra-HD video/audio, 100Mb Ethernet connectivity, USB2.0, 100W of power over cable and control signals through a single Cat 6/6a cable. 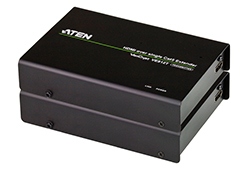 ATEN has joined the HDBaseT Alliance as an adopter member to deliver the added benefits of HDBaseT™ technologies to its products and regularly launch new HDBaseT long distance media/signal distribution solutions. 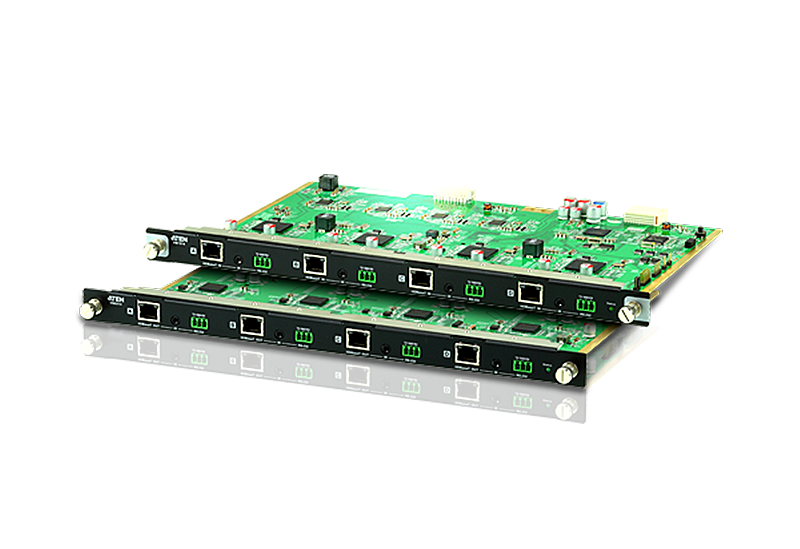 Ability to transmit 4K signal over a single cat cable of up to 70m without signal degradation or distortion and up to 40m with HDBaseT Lite. 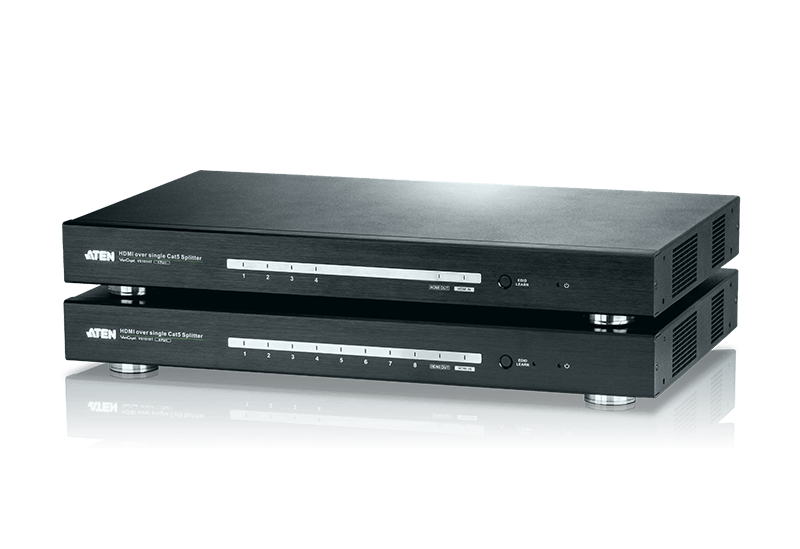 Supports Full HD, 3D and 4K x 2K, Dolby True HD and DTS-HD Master Audio. 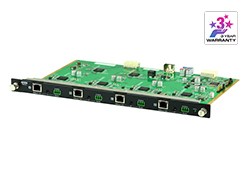 Implements HDBaseT™ extension technology to connect transmitter and receiver units over one single Cat 6/6a cable - it is also cost-efficient. 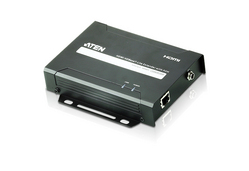 ATEN offers Cat cables with model number 2L-2801 and 2L-2901. 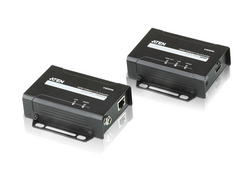 Supplies power from the Switch to Receiver over a long distance via one Cat 6/6a cable. Equipped with the HDBaseT transmitter or receiver chipsets it can distribute uncompressed Full HD video signals of up to 100m over a single Cat 6/6a cable. 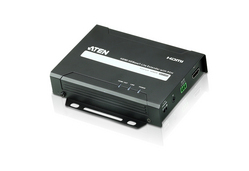 HDBaseT Lite models cover distances of up to 70m. 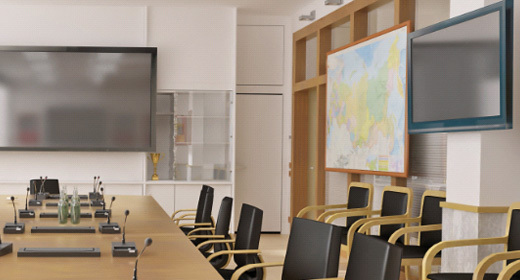 This 5-star hotel chain has rebuilt its conference room into a venue designed for several sorts of events, ranging from gala-drinks, industry workshops and a casual Karaoke night. 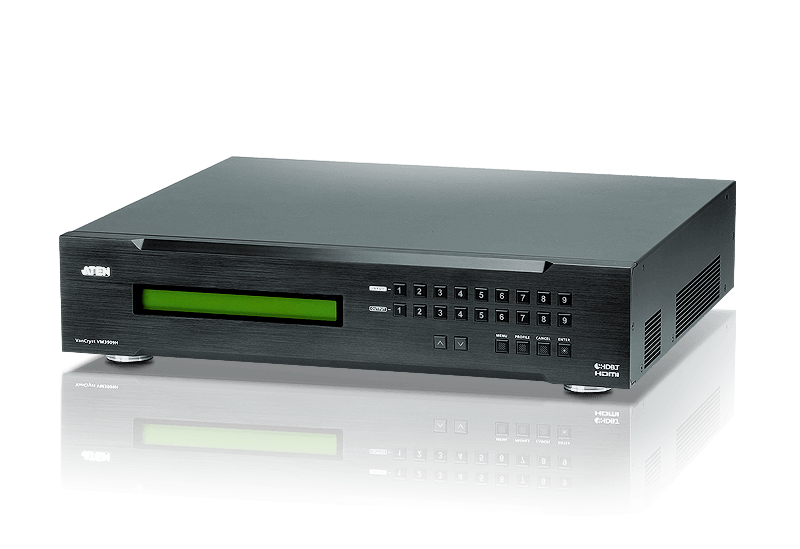 Choosing to equip the room with 4K screens, while keeping cables as limited as possible, HDBaseT media distribution turned out to be a cost-effective solution. 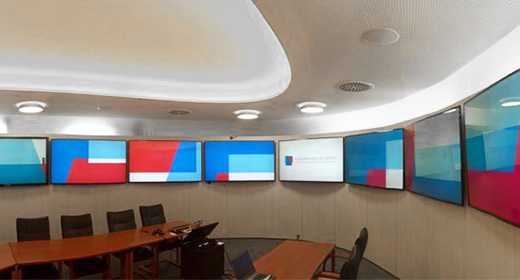 With only a cat cable infrastructure, the entire system still supports the necessary audiovisual and control signals. 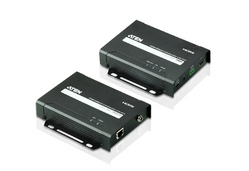 Moreover, even power distribution now goes through the same cat-cable. 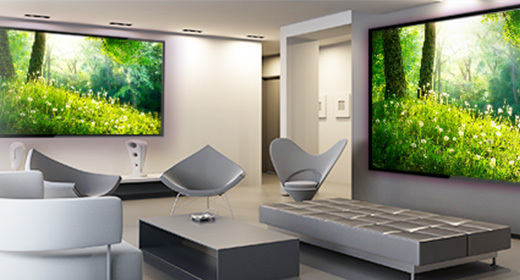 Thanks to the matrix switch, visitors can hook up their personal devices next to the permanent setup. Primary schools have several areas where teachers, children and parents come together that need media, presentations and information distributed: classrooms, a playing ground, creative areas, labs and a common public space for special gatherings. 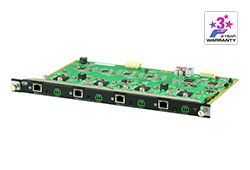 An HDBaseT matrix switch with 16 sources and 16 outputs, equipped with HDBaseT extenders easily covers a range of 100m to displays across different rooms and floors. 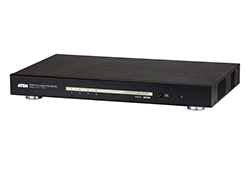 Using existing network cables, the school distributes high-quality content and even power the extender (VE802R) minimising cables and clutter. 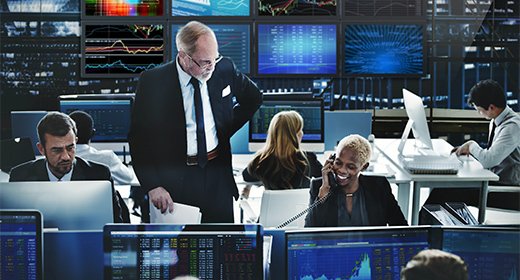 A major financial service and trading corporation expanded its system of news and data feeds. 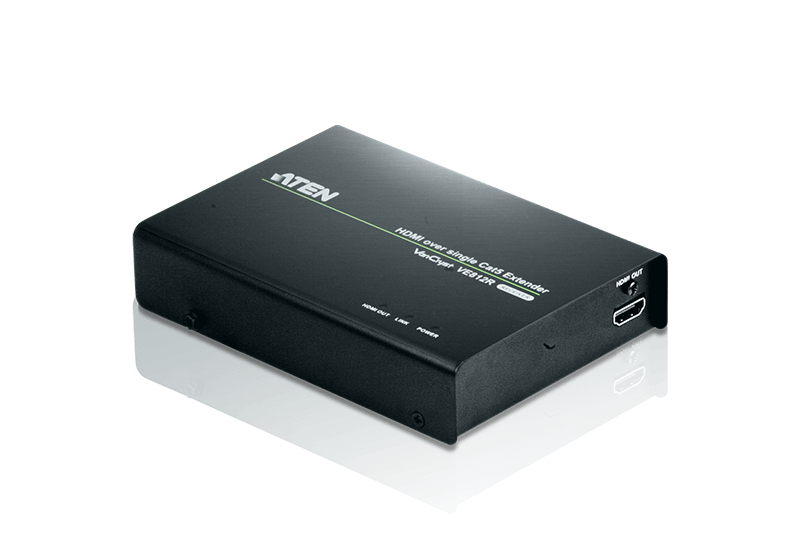 ATEN's HDBaseT Modular Matrix switch easily composes a video wall while also distributing the feeds to selected management offices. 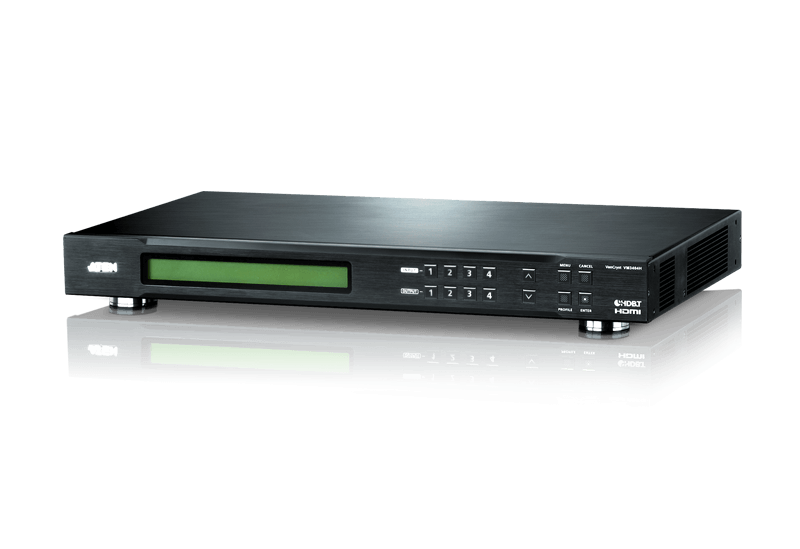 The Hardware Control system consolidates control of all video walls and monitors while allowing for multiple security, access, and reconfiguration settings. 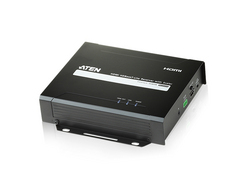 Deliver and experience continuous smooth video streams with instant real-time switching with ATEN patented technologies. 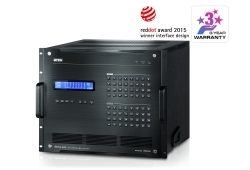 Take advantage of the below promotional offers. 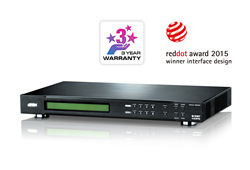 #AVbundles.